1. 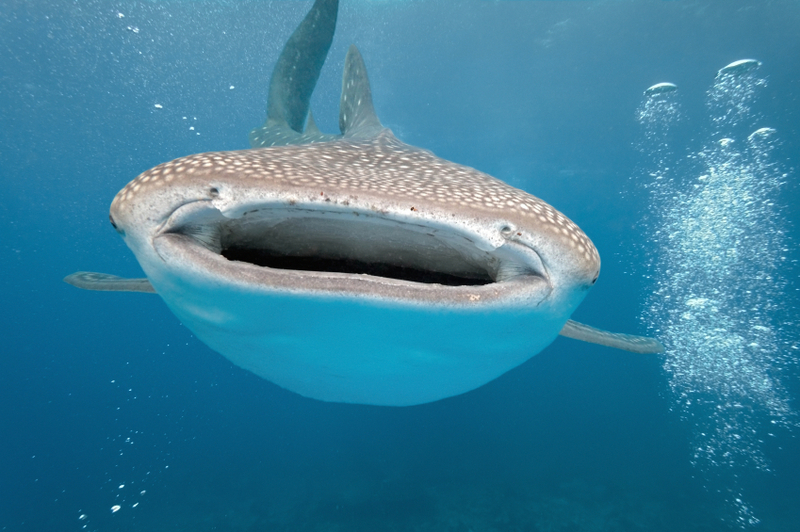 Whale sharks are the largest fish on the planet – they can reach up to 14m (46 feet!) in length and can weigh up to 12 tons. That’s 24,000 pounds or nearly 11,000 kilos!! 2. Whale sharks are in no way related to whales. Although they are sharks, they are very docile and pose no real threats to humans. 3. Whale sharks are filter feeders and sieve plankton, squid, krill, and small fish through their gills for much of their nourishment. They have about 3,000 tiny teeth (less than 6mm long) but they don’t use those teeth to eat. 4. Whale sharks aren’t the fastest swimmers, reaching speeds no higher than 5 kmph. They swim by moving their bodies from side to side, unlike other sharks like the great white, who just use their tails to swim. 5. Whale sharks are migratory species and are found in tropical to sub-tropical waters. 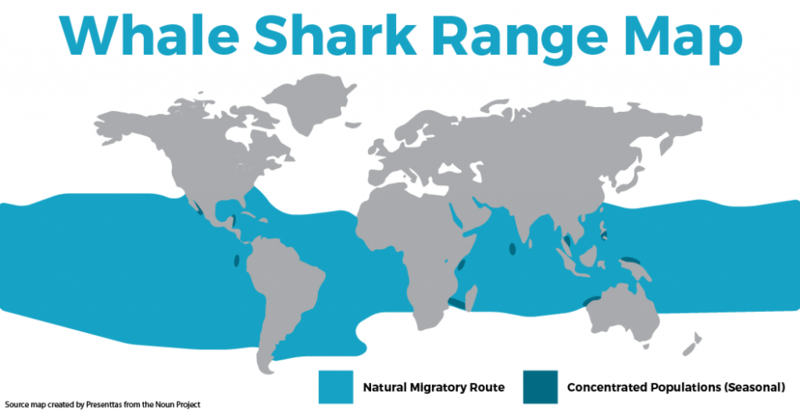 In three years, a single whale shark can travel 8000 miles or more. Though scientists don’t fully understand their migration habits, we know that they tend to gather en mass in specific places at specific times. 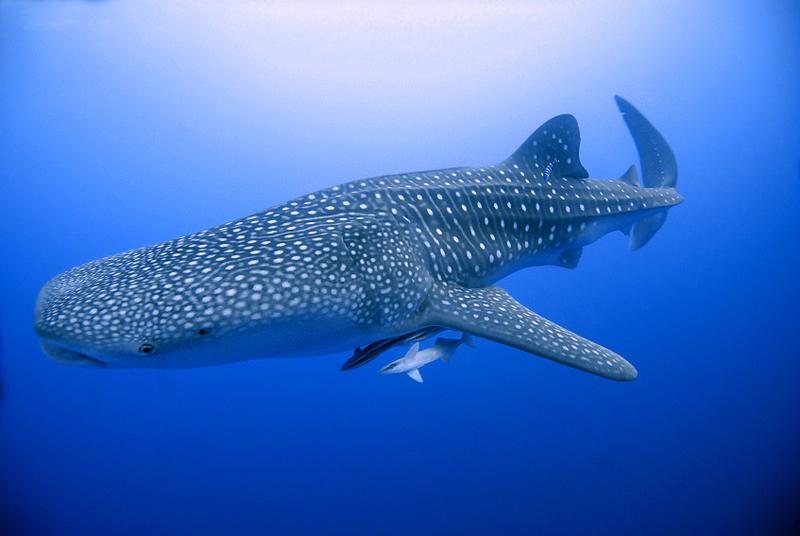 Whale shark season/migration in Belize runs March-June; however, we do spot them year-round. In fact, a month has not gone by this year where we have not had a sighting; however, the frequency is much greater during the migration season of March thru June. 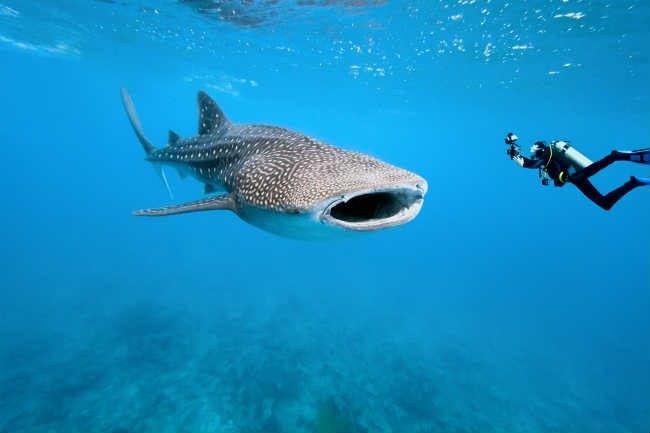 The Mesoamerican Barrier Reef in Belize attracts one of the largest concentrations of whale sharks in the world. 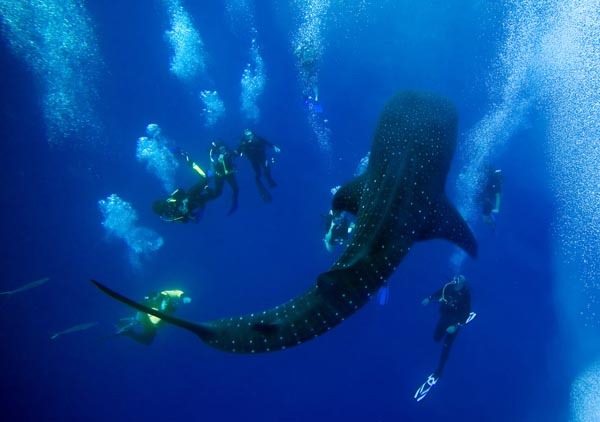 Moreover, the presence of the whale sharks is dependent on the health of the spawning fish aggregations. Migration is a funny thing – you know it’s going to happen but trying to nail down specific dates is impossible. Some weeks we have multiple sightings, then other weeks we have none at all. If we spot them, we always join them for either a dive or snorkel! In a nutshell, there are many factors that influence your chance of an encounter but your chances of seeing one at home are zero! So Belize is the perfect destination. Obviously, we can’t guarantee a sighting, but keep your fingers crossed.